This Oct 13 marks the 13th year of my marriage to Derek. Sometimes I am held in awe that it has been that many years when it seems like it was not too long ago that we had gotten married, moved into our very first home and gave birth to Ethan, our first born. 13 years to some may not be a very long time. However, I believe the quality of a union is not measured by the duration but by the depth of the relationship. There is a saying “Life is not measured by its duration but it’s donation”. In the same way, marriage is the bedrock of Christ-centered living only if we intentionally make it to be so. The two shall become one does not simply happen because a husband and wife live together under one roof. Having children sometimes helps in that process. However, that is not to be taken for granted either. Derek had just ended his recent series of sermon on “Being A Pioneer”. In my opinion, this is one of his best sermon series ever. It spoke deeply to our congregation and us as we are in our pioneering years of church planting. Jesus came to pioneer a brand new work. He began a new race – the God-man race. Jesus is the first born of this race where the spirit of God lives within the body of man. He pioneered a God-kind of family – one joint by His blood that will stand the test of time and last through eternity. Jesus is a pioneer and so are we. We are called to be pioneers. You may not be called to build a church or to start a new ministry. We are, however, called to pioneer this spirit-filled power-living life when we come to Christ. We are all called to be the testament of Him. Your life is different from another and hence you are never a duplicate! You are to pioneer a life for yourself. A life that God has called you to live – not what your parents want you to live or your spouse or your children or even your well-meaning church leader! You are created an original, don’t die a copy! You are to pioneer a new marriage relationship with your spouse. A marriage that reflects God’s kind of love and sacrifice. No two men or women are the same and hence no two marriages are the same. Every marriage is a new pioneering work. Never compare your marriage with someone else’s because it was never meant to be the same. The Pioneering Spirit of God is waiting to start a new story in you and in your marriage. Yes no two stories are the same but they all have the same end – to bring Him GLORY! Whether you are a single or a married person reading this, understand that as a Christian, we must devote ourselves to the cause of Christ. Anything less will not do. When we embrace any other than the cause of Christ, we would have build on a wrong foundation. In his sermon, Derek mentioned that the cause of Christ affects our vision. During the course of mentoring men and women, many people would ask me how would they know if their vision is from God. Unless they have a ‘thus says the Lord’ or a dream or open vision from God, even if you have done your SHAPE analysis and studied your SWOT (strength, weakness, opportunities & threats), no one can be 100% sure. However, this one thing I promise you, that if you are a person living for the cause of Christ, you will not go very wrong in your vision! A vision is something you posses but a CAUSE possesses you! Because you have a cause to live for the glory of God and not to take Christ’s death in vain, you will choose wisely. You will know what you can do and what you should not do (though they may not be necessary wrong). The cause will keep you safe and give you strength to overcome temptations! It will guide you to choose your spouse and help you to stay on course in your marriage. You would not die for a vision but you will die for a CAUSE! Finding a cause in life gives you the adrenaline to live and the willingness to die (to your flesh at the very least). It puts meaning in the laughter and brings comfort in our grief. Jesus came and lived and died for the Father’s cause. It’s now our turn to live and die (or at least die trying) for the Cause of Christ in our personal lives and in marriages. My marriage to Derek worked in the last 13 years because we are not just living out of our love for each other or the love for our children. The depth of our relationship was brought about because of our love for the Cause of Christ – for what He wants to see in each of us, in our relationship with one another and with our children. Because only for the cause of Christ, can you lay down your lives for others and not question your value. A vision has options but a CAUSE leaves you with no choice! Finally, we live in a world of many choices and alternatives. We are free to choose the avenues to express ourselves and develop our talents and gifts but there is only one cause to live – the CAUSE OF CHRIST! 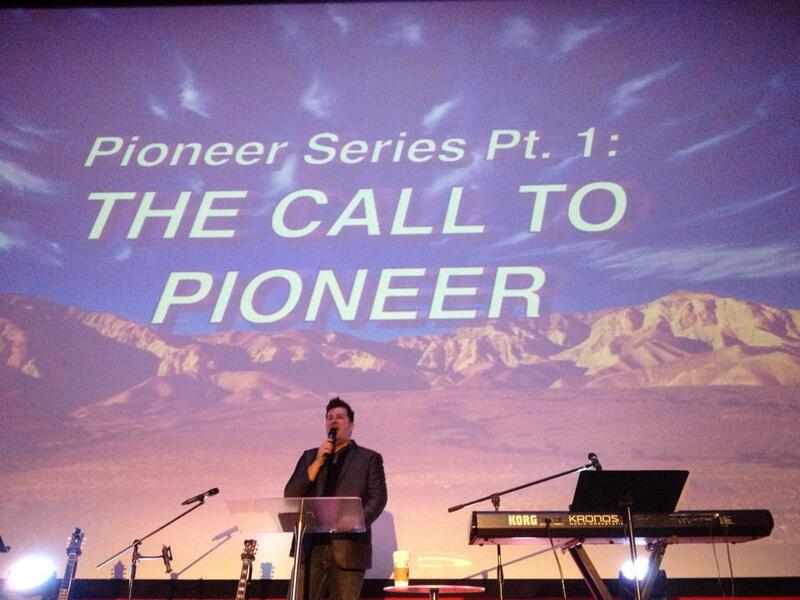 Click here to hear the podcasts series on The Call to Pioneer.